I love living in London but my skin, on the other hand, does not. A busy on-the-go lifestyle means that my skin is often left looking dull and tired even when I’ve got the recommended 8 hours kip every night. Traumatised by fluctuating climate temperatures, air pollution and central heating my skin is in constant need of gentle love and attention. I need help and fortunately for me I’ve discovered the perfect saviour. 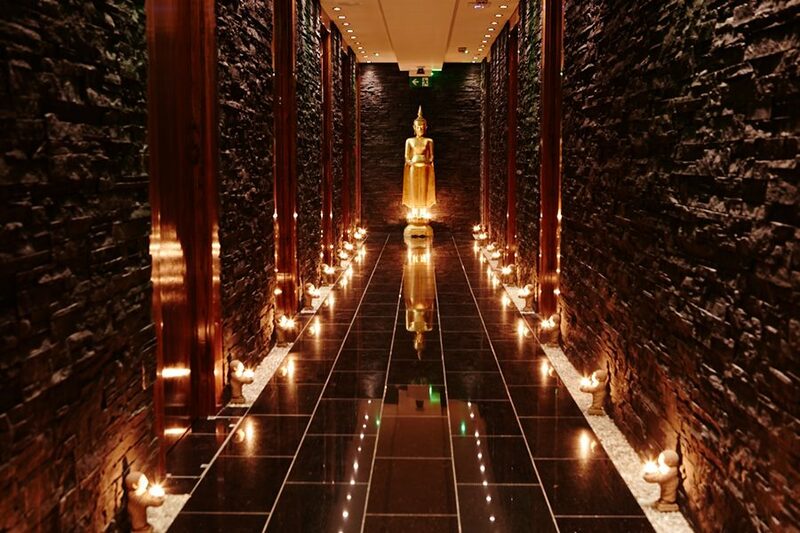 Tucked behind the hustle and bustle of London’s Embankment, on Northumberland Avenue, you’ll find a little bit of Thailand at the Thai Square Day Spa. 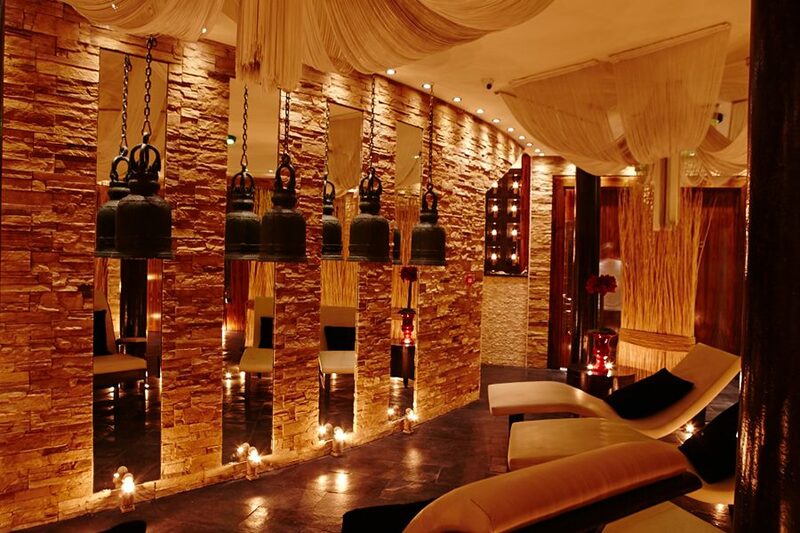 Perfect for a weary Londoner, I quickly escape the chaos of the city and descend into its calming, ornate subterranean spa. I feel like I’m in another world as the warm spa scent greets me and I instantly begin to relax. I wrap myself up in one of their super soft robes and await my therapist in the relaxation space. Reclined in a lounger sipping a delicious cup of steaming bael fruit tea, the candles around me gently flicker as panpipe music fills my ears and I drift off. I shut my eyes and for a moment I’m anywhere but the heart of London. Minutes later my therapist joins me and leads me to her beautifully scented treatment room. What would I like from my facial? My response is simple; I want to leave here with a youthful glow and I also just want to be able to indulge in some good old fashioned R&R. 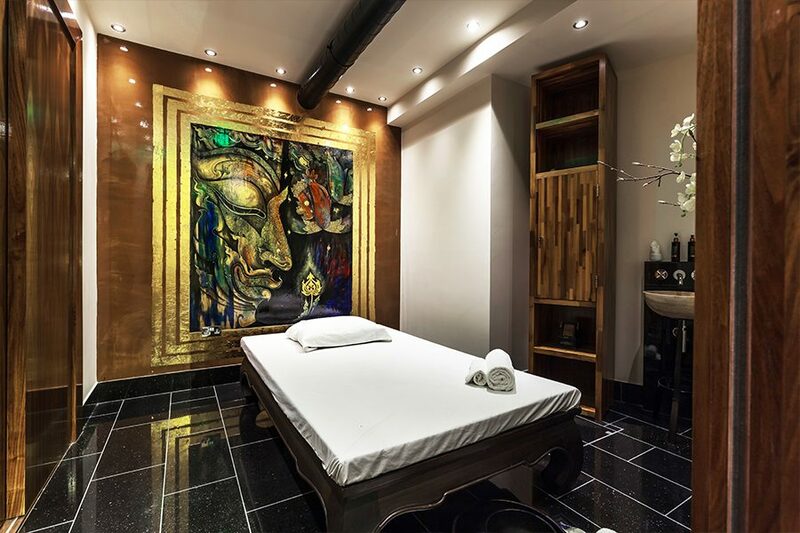 With that in mind, I opt for the new Thai Lotus Defence Facial, which is said to bring brightness and vitality back to tired looking skin. The treatment has been developed using a clever combination of sacred antioxidant ingredients from the Pañpuri range to help hydrate and protect the skin from pollution particles in the air. This sounds like the perfect elixir. Still sipping my Thai herbal tea, we start with a pre-treatment traditional floral foot soak. Joy gently washes my feet in a bowl she has already prepared with some hot water and gently pats dry. I get comfy on the bed underneath the layers of warm towels and Joy sets to work, starting by foam-cleansing my face. Next up, a scrub applied in a small circular motion to exfoliate, buff up and remove dead skin, followed by a spritz of lotus and jasmine spray to completely freshen the skin which smells divine. A herbal moisturising cream is worked into my face and the gentle face and shoulder massage that follows ,which uses four different techniques, is so relaxing I almost fall asleep. Finally, a masque is applied, the lights are dimmed low and 15 minutes is set to allow time for it to work its magic and soak into the skin. All too soon Joy returns and my face masque removed with warm mitts. Some organic lotus oil is massaged into my face to help tighten and bring some much-needed moisture to my skin and finally some soothing eye cream is applied. My skin is left feeling rejuvenated with that healthy rosy glow I was so desperately seeking. I stock up on their range of home products and leave feeling lifted and radiant. A feeling which lasts for days. I can’t wait until my next visit!